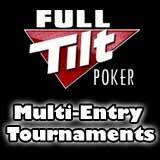 Once again Full Tilt Poker leads the way with a new interesting exclusive tournament format called Multi-Entry Tournaments, it allows players to register several times and multi-table the same tournament. Try the new Full Tilt Poker Multi-Entry Tournaments where you have more chances to win playing on your favorite poker site where new players qualify for 100% first deposit bonus up to $600 and a free entry into the monthly freeroll tournament which has a $100,000 prize pool. 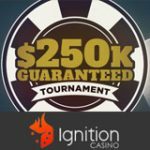 FullTiltPoker have doubled the prize pools of the guaranteed tournaments for a week to celebrate the new poker game win your share of $30 million in January 2011. 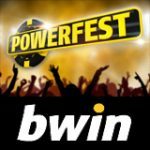 The new Full Tilt Poker Multi-Entry Tournament format is exclusive to FullTiltPoker which increases players chances of winning big in this unique type of online poker tournament. 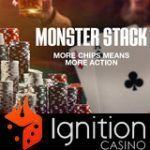 Players can register with several entries into the same tournament where each entry will have a starting stack and be dealt hands basically it is multi-tabling all in one tournament. Full Tilt Poker are always coming up with innovate ways to enhance the online poker experience with new poker games like Rush Poker, Matrix Poker and interesting promotions where players can win their share of cash prizes. Players can register a few times into the same tournament based on how many tables there are running in the tournament, players will always be seated at different tables with each entry. If the player has more entries than the amount of tables running in the tournament two of the entries will be merged and all the chips will be transferred from a broken table to the entry with the smallest chip stack. 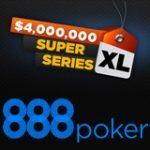 In the case where a player has two entries on the final two tables and it plays down to the final table both entries will merge and the player will be paid for a 10th place finish. Whenever a merge takes place players will be alerted with their avatar flashing and a pop-up will appear for all players seated at the table announce the merger. Full Tilt Poker Multi-Entry Tournaments can be found in the lobby by search for the Multi-Entry icon in the tournament types legend. 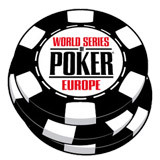 Multi-Entry Tournaments are also available in Rush Poker, Knockout and rebuy formats. 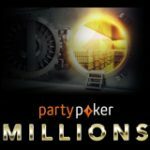 To celebrate the release of the new Multi Entry Tournaments Full Tilt Poker have doubled the prize pools of the guaranteed tournaments for a week with a total of $30 million in prize pools up for grabs. 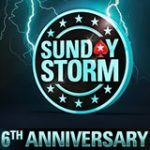 The Full Tilt Poker Big Money Sundays will feature the biggest prize pools ever with a total of $2.5 million in guaranteed prize pools on the line.